Spring cleaning: It’s not just for your house anymore! Vehicles of all sorts taking a beating during the winter and even those in storage — such as motorcycles or watercraft — need a good cleaning before being worthy of being ridden once again. For those living in colder climates, cold weather puts a strain on batteries, snow strains suspensions as you drive over drifts or pot holes left in the wake of a storm and the salt sprayed on roadways by public works crews can trigger an outbreak of rust. Even the dust and grime that builds up over time as untouched vehicles are left to sit in storage needs to be wiped away and inspections conducted before firing the engine up. With these to-do list items in mind, ECP Incorporated would like to offer these spring cleaning tips and tricks for those ready to hit the open road in the coming weeks and months. Cold weather typically hastens our relationship with our commuter cars and trucks: Get in, get out and pick up the coins and food dropped later once it’s not to bitter outside. That’s why those who value a clean vehicle should seize upon the first day when the weather breaks for a thorough cleaning. This includes the upholstery that undoubtedly collected melted snow and rock salt from the soles of your shoes. 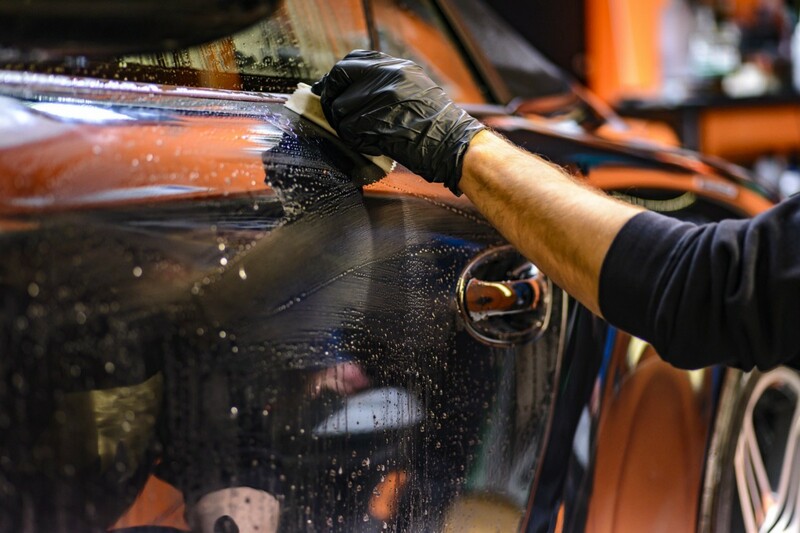 For dealers that do cleaning for cars in stock or as a service offered to clients, the “Certified Clean” program from ECP Incorporated will go a long way to getting out months-old odor. That’s because the process includes an active ingredient that actually attaches to odor molecules and prevents it from being released in treated vehicles. In return for investing in this product, the ever-present scents of mold, mildew or tobacco smoke are permanently eliminated. Popping the hood or cleaning the motor on your motorcycle shouldn’t be overlooked. Plenty of debris — be it old leaves or sticks — can accumulate around the hood and fall into the engine bay. As for motorcycles or watercraft, polishing the chrome and aluminum of these mechanical parts can improve overall appearance. To accomplish this, ECP Incorporated offers an easy-to-use detailing spray that offers gloss and slickness that can be used as easily on chrome as it can on plastic trim and wheel rims. As for some of the other basics that a cursory walk-around will reveal, tires that aren’t holding air, an air conditioner that isn’t pumping out cold air, weak lights due to a diminished battery or engine squeals triggered by aging belts should be easy to spot. Motor vehicles won’t run forever without preventative maintenance, but simple steps taken by owners and dealerships will help keep them on the road longer — and looking better, too.